The majority of our products are made with a sourdough base using local products and are, by their nature, vegan. All of Arbuckles breads and bagels freeze really well, so start making room in your freezer. We would love to keep you eating fresh bagels and breads at home, or at work. We are available for small take-home orders, or large catered events. Check out the menu below, and get in touch when you're ready to place your order. 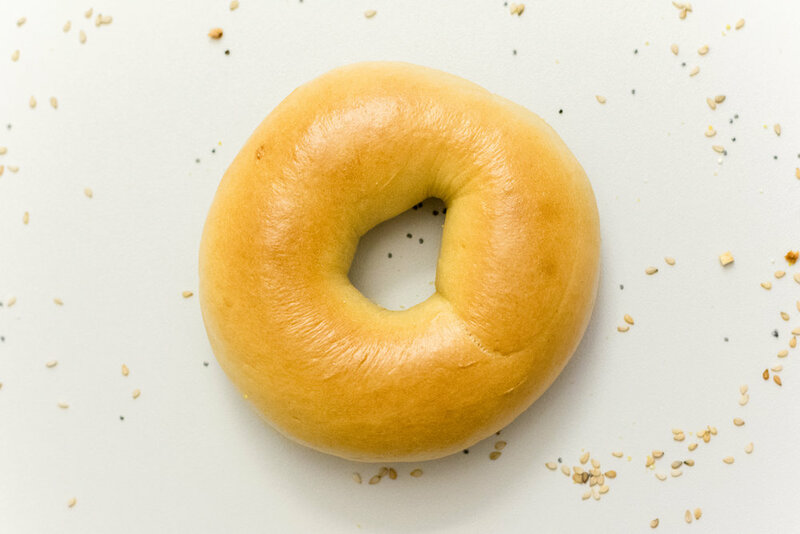 The journey of a perfect bagel follows few, but very important, steps. They are made with quality ingredients, formed by hand, allowed a long rest in the refrigerator to develop flavor, are boiled and finally baked to perfection. You will discover that no two bagels are identical - your proof that they have been formed by hand. All of our bagels keep for a minimum of three days in a plastic bag and will freeze beautifully, so you can enjoy them for days to come. To make life easier: slice in half, freeze and pop them straight into the toaster from frozen. The base of our catering is bread or bagels paired with delicious, quality ingredients. Sandwiches can be complemented with salads, chips, and/or dessert. Need a hand developing a menu? Let's work together to design the perfect offering for you and your guests.